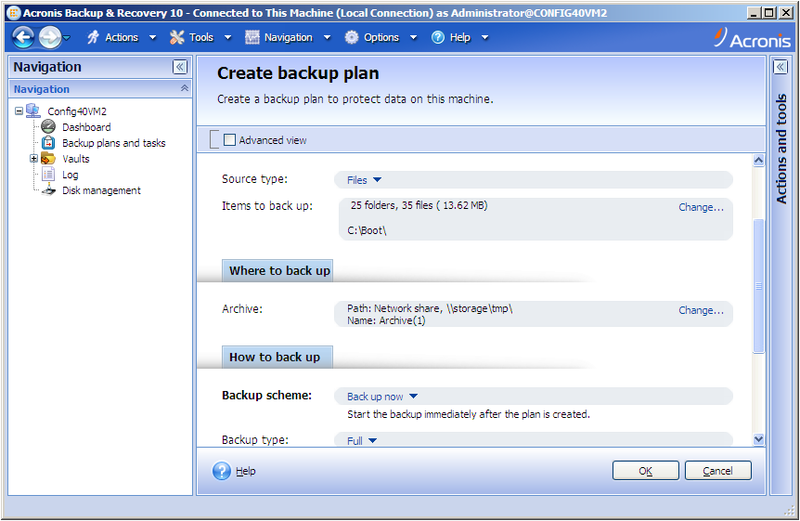 14261: Acronis Backup & Recovery 10: Backup Plan Creation Errors Out with "Failed to update the backup plan"
Failed to update the backup plan. Message: Failed to update the backup plan. Message: Failed to create the archive. Message: Failed to open the directory. 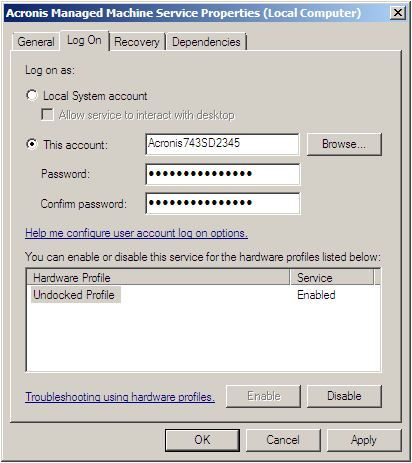 The Acronis Managed Machine Service runs under a wrong account and therefore fails to check access to network share. In the product, specify the network share by its IP Address instead of computer name. 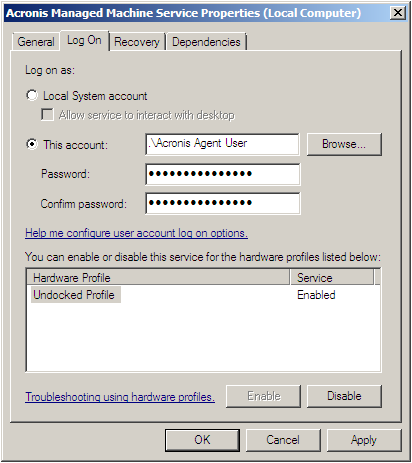 Make sure the Acronis Managed Machine Service is running under an account which was specified during the installation or under the default account. DOMAIN\username - Domain user account that you can specify during the installation. 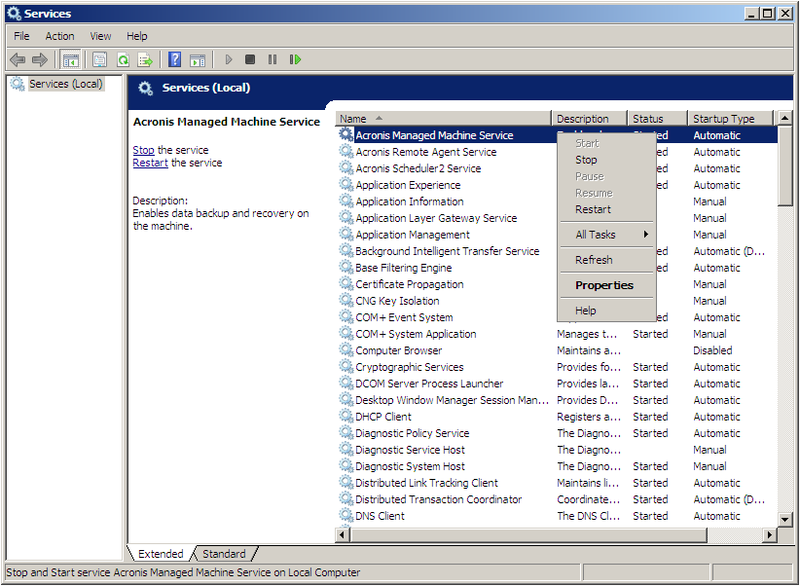 Acronis System Report from the machine with the issue as described in Acronis Backup & Recovery 10: Generating System Report.